Research has proven that flowers make you happy! Wow! Studies have shown that prove the effects of flowers on a person’s behavioural and emotional state, and the benefits are truly amazing. Have you ever been given a bunch of flowers and felt truly happy and excited? Well, you are not alone. According to research carried out by The State University of New Jersey, nature gives us a simple way to improve emotional health. Flowers trigger the release of chemicals in the body that make us feel happy. This is why flowers are linked to the alleviation of stress, a lift in a person’s spirits and an easing of anxiety and depression. The studies linked how flowers affect both our emotional and consequently our physical behaviour. Flowers were linked to not just instant happiness when a person receives them, but an overall lift in a person’s mood and demeanour. In the long run, flowers can offer not just emotional well-being but a physical and energising lift to our daily lives. The reason why flowers are able to do this is because they connect us to nature. Our busy lives take us away from our natural environment. Flowers remind us of our roots, if you’ll pardon the pun. Colours can make us happy via chromotherapy, by using the powers of colours to stimulate our emotions. Maybe this explains why flowers are such a wonderful gift to give, and receive, for any occasion. So maybe it’s time to order those flowers online. 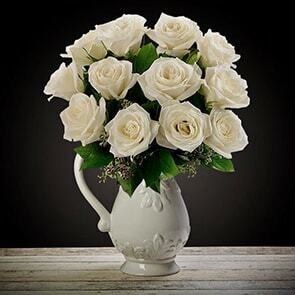 Flowers can make you happy by bringing you closer to your loved ones, such as friends, family members and partners. Have you ever considered why flowers are used in social settings? There’s more to it than decoration and design. Flowers create a warm, friendly environment by relieving stress and releasing “happy hormones”, which are conducive to a us opening up to strangers and fellow humans. The study went on to show that flowers offer natural visual healing properties both emotionally and physiologically. Flowers are an amazing gift. From nature to us. But, there are very few gifts we can give that help ease inner troubles, create trust amongst strangers, lift your confidence, alleviate stress, and regulate emotions. So you really don’t need any excuse to buy flowers now. The study goes further by saying when a floral arrangement was placed in a highly visible spot in the home, there was a notable uplift in the happiness levels of all occupants. Adding some flowers to your home offers more than decoration. Think of them as fragrant, visual therapy. 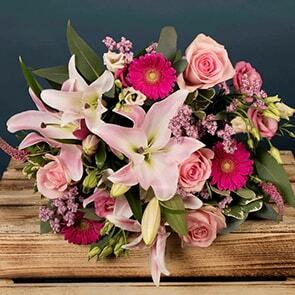 Don’t wait for a special occasion, get flowers delivered online with Bloom Magic and bring some happiness into your home.